I know; I know it's the blues, with all its requisite death wish lamentations barreling toward an inevitable dead end. But here's a certain sinister irony that can result in laughter ... or more tears. 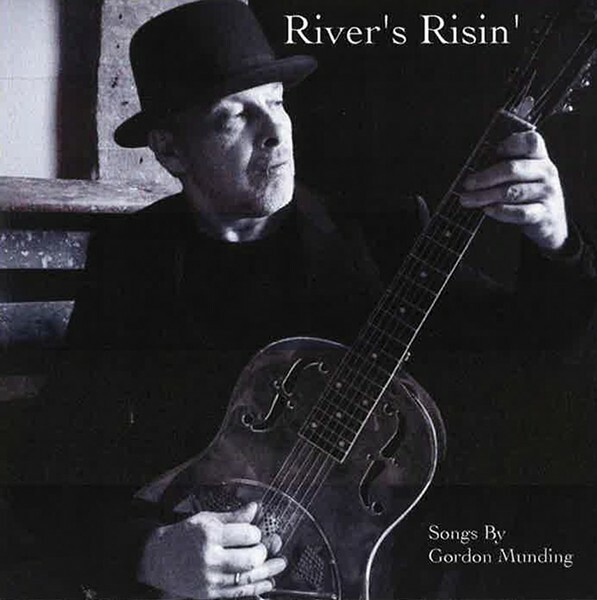 On "River's Risin'," Gordon Munding plays the blues — folk blues, some may call it — but without the despair you'd expect. "River's Risin'" is stripped down to just Munding and his National Steel. There's a little upright bass, along with several of Munding's 16 grandchildren, but for the most part, this full-length album is a one-man affair. What's compelling is that it's all the man's own material. Munding doesn't cop out to cash in; this is all his own worry and botheration. He isn't sharing his misery, though. Rather, he's letting us watch him work it out with 10 fingers and a slippery slide. The production on "River's Risin'" is straight-ahead, and it serves the songs nicely. When done right, the blues can hurt so good.